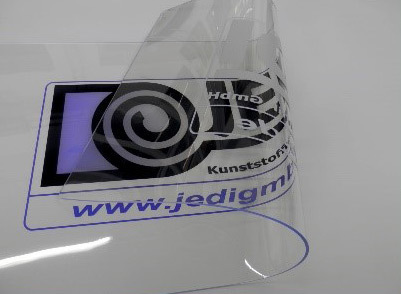 We offer you particularly high-quality prints on soft PVC products, where we apply the computer-controlled printing directly to the soft PVC sheets, strips and blanks supplied by us. 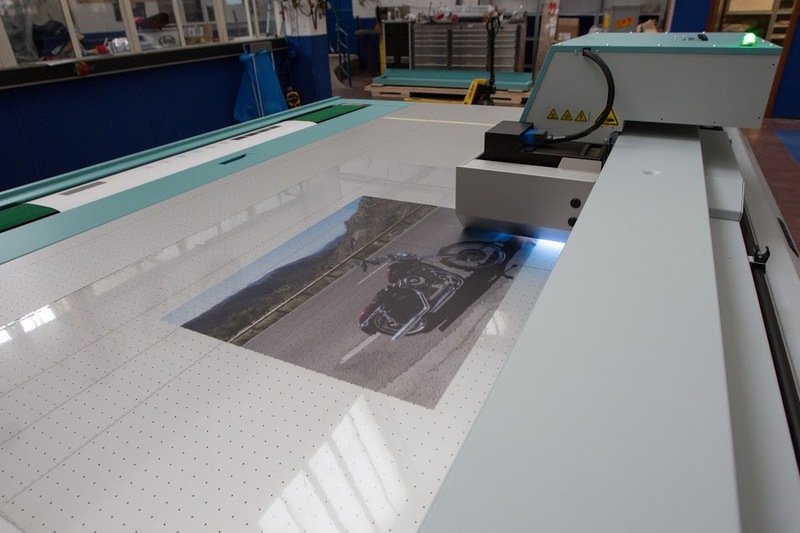 As part of the printing process, we work with special CNC-controlled flatbed printers that deliver uniquely high quality and accurate printing results. 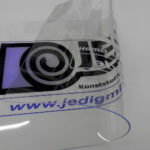 Through the use of a special ink, the printed soft PVC films find application both indoors and outdoors, such as: As suspended slides in front of entrance halls or floor mats in front of doors. High UV resistance ensures durability in outdoor areas. 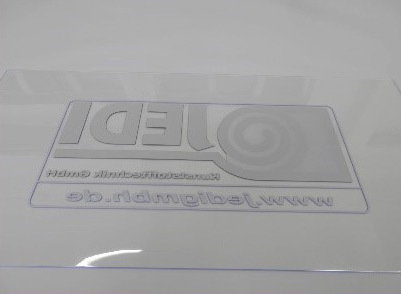 Transparent foils can also be printed as a mirror image on the underside, which has a significant effect on the longevity of the print. 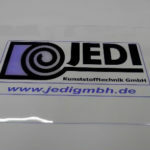 In the case of a mirror-image underside printing on a transparent film, there is generally no abrasion on the surface, which is desirable, above all, for floor mats, table mats or mouse pads. 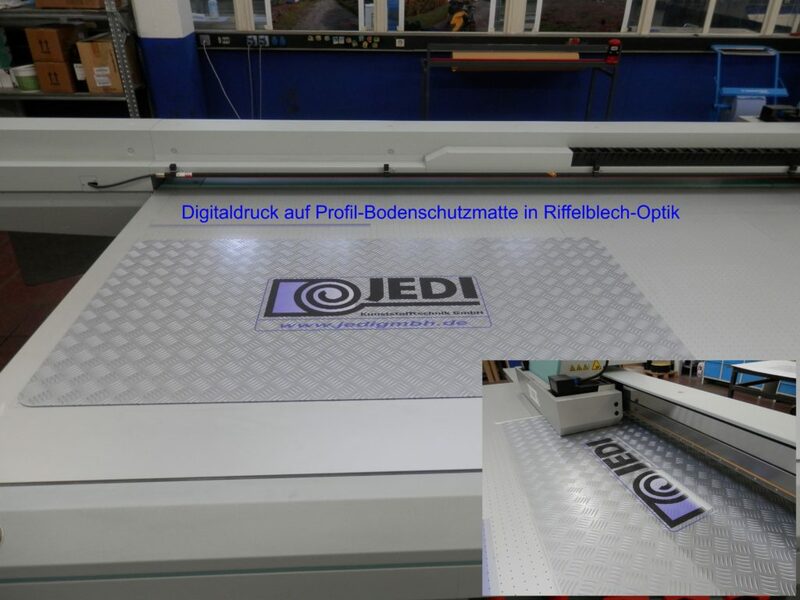 Digital printing is fundamentally characterized by a high degree of universality. 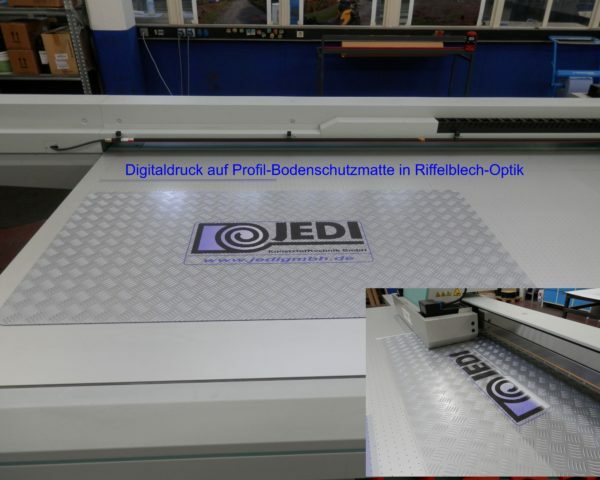 From the point of view of individual printing, digital printing processes offer a very good price-performance ratio. 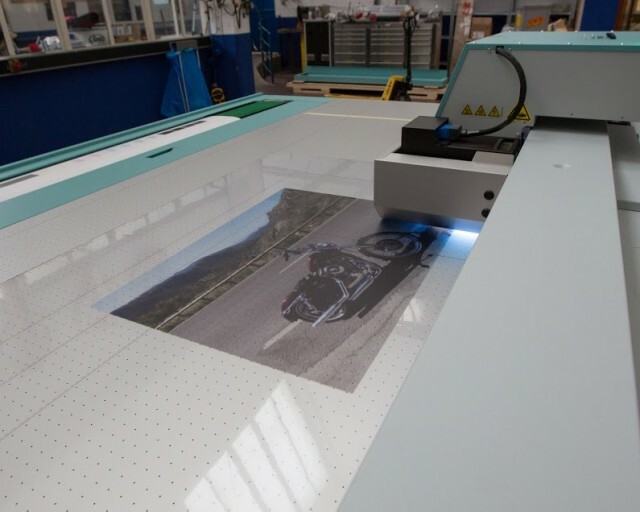 Because in our experience, prints in small editions are economically feasible only in digital printing. 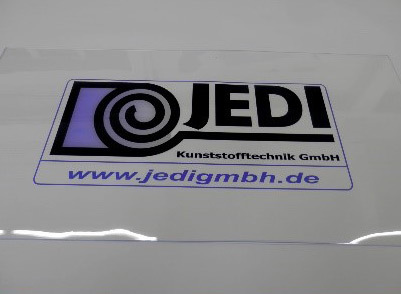 Be it your company logo, product images, photos, individual texts (eg advertising on soft PVC mats for presentations at trade fairs.) 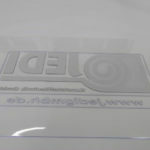 Let us know your wishes regarding the printing and we will put them into action at any time!